King Saha replacing Mowzey Radio at Coke studio? KAMPALA. 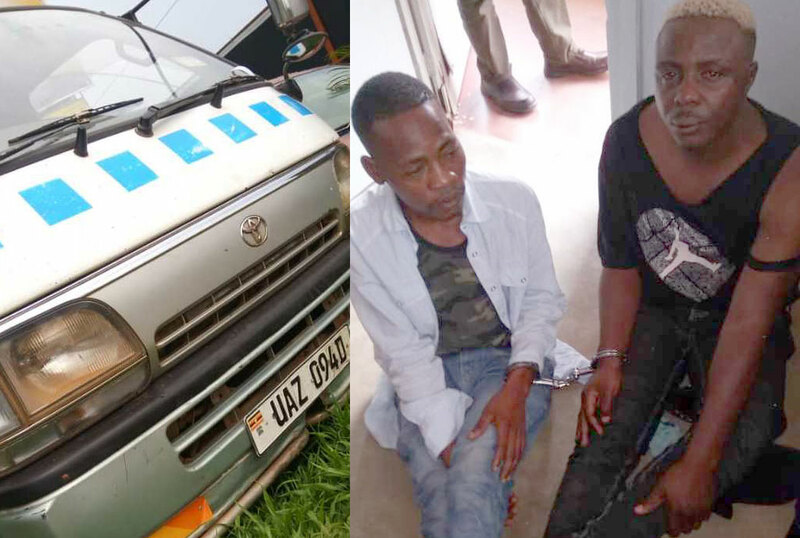 Two taxi operators, who have allegedly been stealing property from unsuspecting passengers on Jinja Road, have been arrested after crime intelligence officers boarded their vehicle. The two men have been detained at Jinja Road Police Station on charges of theft. The taxi has also been impounded by the police. Kampala Metropolitan Police spokesman, Mr Luke Owoyesigyire, said the operation to arrest the two men followed 10 complaints by passengers whose property had been stolen in the said taxi. “We got complaints from passengers that they lost property like phones, laptops and bags in a certain taxi. We tasked Crime Intelligence officers to track down the taxi. They went and boarded the taxi and they were subjected to the same theft trick. Our officers arrested the suspects red-handed,” Mr Owoyesigyire said. Cases of theft in taxis are high on Kampala-Kireka, Kampala-Ntinda and Kampala-Nansana routes. Mr Owoyesigyire said they are to take the suspects for search to recover the stolen items. “We call all the victims to come and identify the suspects and also help us with evidence to prosecute them,” he said. According to police, the suspects usually hire taxis from genuine taxi operators promising them huge pay at the end of the day. “They get colleagues, especially women, to occupy some of the seats to give confidence to new passengers that the taxi is secure. When the passenger stops the taxi, he or she is usually given a co-driver’s seat as they drive off, they claim that the door hasn’t been locked. As the passenger struggles to lock the door, the conductor pulls out property from the victim’s bag,” says the police spokesperson. When they are done with the crime, they stop and ask the passenger to get another taxi on pretext that they intend to take a different route or their door system has broken down and needs fixing first. In some cases, the passenger is pushed out of the moving taxi by the criminals.